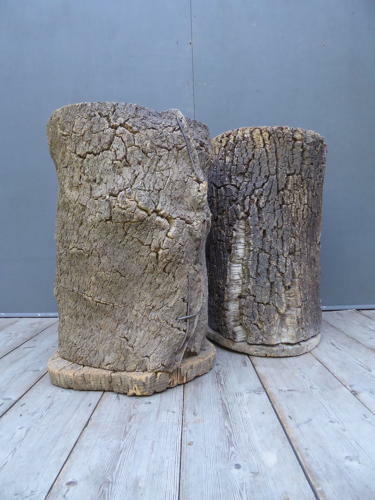 A wonderfully sculptural pair of natural cork beehives, hand made with wire ties, the naturally weathered surfaces boasting some stunning textures & colours. Wear commensurate with age, good untouched condition. UK courier service available at £18 tracked & signed for 24 hour delivery (these will be sent seperately to avoid damage).